Today’s guest post comes from Jessica Thurston, a talented co-worker of mine at Do it Best Corp. To any headhunters reading this blog post… no, you can’t have her, we have locked her in a cage here and never plan on letting her go. But we do feed her well and keep a nice cot for her, so you don’t have to worry. Jessica Thurston:Some of us were participating in a Facebook post with a past co-worker about certifications, and how they are what you make of them. They can be a piece of paper, or they can be much more to you. Just depends on how you approach your journey to achieve them. Then later I saw this image post on LinkedIn, and I thought it went with the theme of certifications. 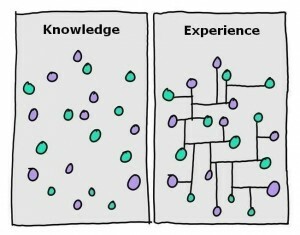 While Knowledge will give you the dots, actually practicing what you learn multiple times will help connect the dots with Experience. 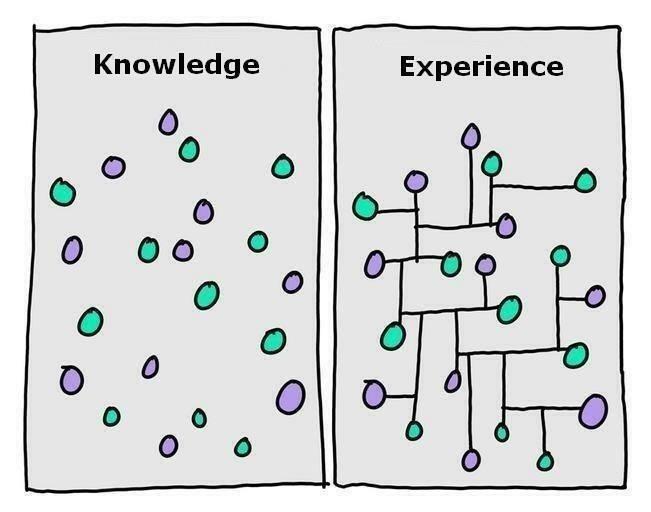 Experience is what you make of it, sure there are many different types of technologies we don’t use here (including in the Microsoft stack) . But your employer is not responsible for your experience. As Jon Fazzaro always pushed, have a pet project, make your own experiences. Now that we have the opportunity to do innovations, you can even work with co-workers or alone on helping to connect the dots on some technology. Another opportunity that Brandon and I just experienced was #OpenHack, where you can work on anything related to technology. There is also local user groups, Pluralsight, Microsoft Virtual Academy, and Brandon’s Web Roundtable that help at least give you the opportunity to put the dots on your map. So go out there…. At least put some dots on your map…. And even better, try to connect them.